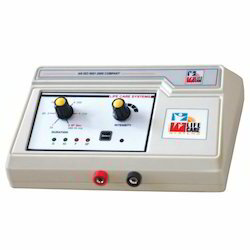 We are manufacturers & exporters of Electrotherapy Equipments from India.A wide range of durable Electrotherapy Equipments are available at single window named at Life care. 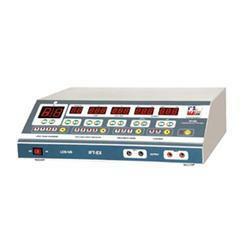 We are one of the leading Electrotherapy Equipments manufactures and exporters, incepted in India. 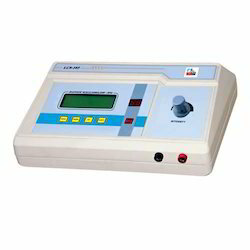 Our Electrotherapy Equipment and physiotherapy equipments are manufactured from the optimum quality raw material which ensures their long lasting property. The combination therapy of Interferential Therapy TENS MS LCS 152 is a cutting edge treatment used in physiotherapy purposes. This advance technique helps the patients to recover the injuries. 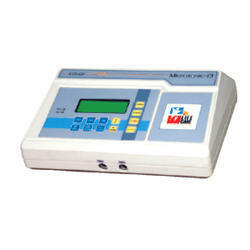 Thus, it provides a comfortable, soothing stimulation and does not cause any discomfort to the patient. 0.1, .3 1, 3, 10, 30, 100 & 300 ml Sec. 50 Hz /0.7 ml Sec. 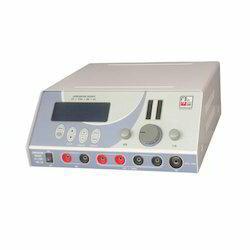 The main principle behind using Interferential Therapy Tens Digital Unit LCS 145 is to utilize the interferential effects of low frequency. It comprises of most advanced version of solid-state circuitry. This is engrossed with unparalleled characteristics like lightweight, compact design and user friendly systems. 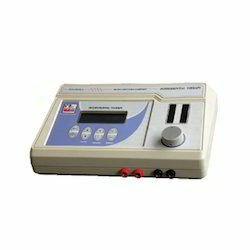 Interferential Therapy Tens US MS LCS 154 is ideal for relieving pain and muscle contraction. When other methods are not able to work, then this equipment is brought in use. This is used in combination with other treatments for treating many diseases. 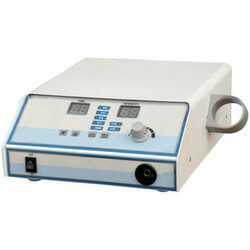 Room Temperature 10 degree to 40 degree C.
Interferential Therapy Unit is widely used in the treatment of pain and muscular contraction. This is used when other devices are not inappropriate or unavailable. 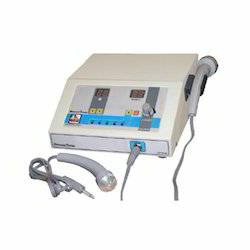 It mainly delivers an electric current to the site of injured, inflamed and painful tissues. Thus, this process has wide physiological effects that decrease the pain and enhance the healing. 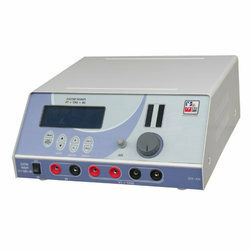 Our fully equipped Longwave Diathermy Unit is the latest addition in the field of physiotherapy. 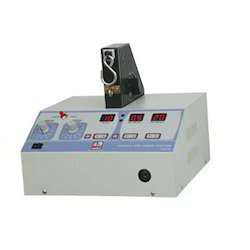 The principle behind this equipment is based on the capacitor field method. It emits electromagnetic energy at specific frequencies ranging from 500 KHz to 10 MHz. Thus, this has become an alternative for Shortwave Diathermy Unit. 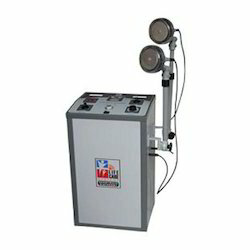 Physiotherapy Equipments are known for their quality and are available in various specifications. 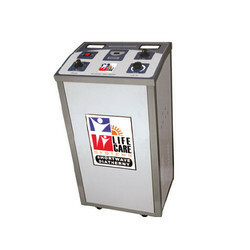 These equipments are widely used in hospitals and by patients as well with confidence. The equipments are appreciated by many doctors, physiotherapists and other for their durability and reliability. Our equipments are manufactured using high grade materials that ensure long service life. Being a standing aid or framer for wheel chair, Stand-In-Frame has become ideal choice for various purposes. This can be used by disabled or physically challenged people to get support while standing or walking. The act of passive support helps the patients to reap physical, emotional and mental health benefits offering movement. Thus, reducing the risk and dangers, this is the best device to be used. 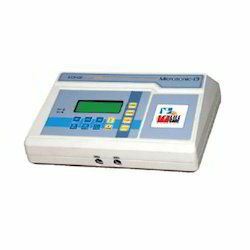 Transcutaneous Electrical Nerve Stimulators (TENS) 4 Channel LCS 184DX are a fully digitalized model. 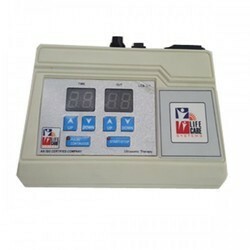 It is engrossed with digital treatment timer in combination with soft key touch for treatment mode selector and an auto mode selector. Meeting the requirements of physiotherapy field, Cervical & Lumbar Traction Equipment is a modern electro mechanical system. This is engrossed with molded aluminium gearbox and metal gear that provide longer shelf live to equipment and jerk-free traction. The working is based on solid-state circuitry, having silent, smooth and powerful motor. This helps the equipment to pull appropriate weight. 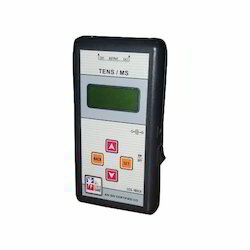 Tens MS LCS 180B is a compact model that works on the principle of solid-state circuitry. It is widely appreciated for its unmatched qualities and reliable performance. 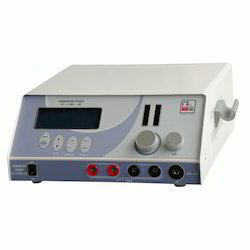 Muscle Stimulator LCS 161 is advanced equipment that uses low voltage for targeting motor nerves to stimulate them. Due to the shock the muscles get relaxed and contracted. Thus, this continuous contracting and relaxing is used to treat various vascular and musco-skeletal conditions. Pulse Duration (Galvanic) 30~300 ms Variable. Interferential Therapy Tens mainly use electrical pulses for stimulating nerves and muscles present in the body. This is required in the therapy for delivering an electrical current to the injured, inflamed and painful tissues. The combinational therapy provides numerous physiological effects required for decreasing pain and promotes healing. The basic principle of electrotherapy Interferential Therapy (IFT) is to utilize the strong physiologicaportable inferential effects of low frequency(<250pps) electrical stimulation of nerves without the associated painful and somewhat unpleasant side effects sometimes associated with low-frequency stem. 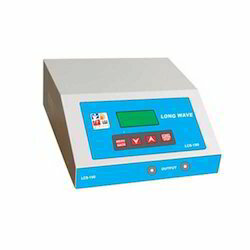 We are manufactureres & exporters of Long Wave Diathermy Unit from India. Our fully equipped Longwave Diathermy Unit is the latest addition in the field of physiotherapy. The principle behind this equipment is based on the capacitor field method. It emits electromagnetic energy at specific frequencies ranging from 500 KHz to 10 MHz. Thus, this has become an alternative for Shortwave Diathermy Unit. Effective in Inflammation of Shoulder Joint, Elbow Joint, Cervical Spondylosis, Osteoarthritis, Ligament Sprains in Knee Joints, Low Back Ache, Heel Pain, Sinusitis etc. Effective in Inflammation of Sholder Joint, Elbow Joint, Cervical Spondylosis, Osteoarthritis, Ligament Sprains in Knee Joints, Low Back Ache, Heel Pain, Sinusitis etc. 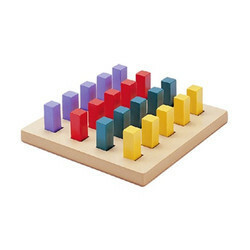 Peg Board Square LCS 402 is designed for the handicapped children to make them learn about the basic functioning. It is used in the area of color identification, size and shape discrimination. This is comprised of a laminated wooden board having square slots for insertion of square pegs. 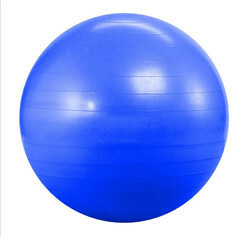 Swiss Ball is designed for total body workout. Anti-burst technology is used for its manufacturing that offers a great advantage for rehabilitation, strength and sport-specific training. It also minimizes the injuries if the ball gets punctured and deflates slowly or safely. Thus, it is widely appreciated for being a perfect solution for all kind of fitness exercises. Designed especially for lower limb, Continuous Passive Motion Unit LCS 231 is widely used for the applications. The machine working is based on solid-state circuitry that offers efficient performance. The basic principle of electrotherapy Interferential Therapy (IFT) is to utilise the strong physiologicaportable interferential effects of low frequency(<250pps) electrical stimulation of nerves without the associated painful and somewhat unpleasant side effects sometimes associated with low frequency stem. To meet the variegated requirements of physiotherapy field, Interferential Therapy Tens US LCS 153 is widely used. The equipment uses electrical pulses for stimulating the nerves and muscles in the body to relieve the pain. 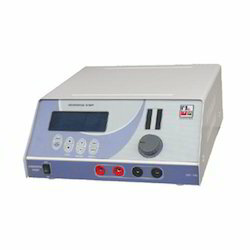 Muscle Stimulator Tens Diagnostic LCS 165 is basically a computerized diagnostic stimulator that comprises of therapeutic iontophoresis and TENS facility. The unmatched features of this equipment make it useful in various diseases. 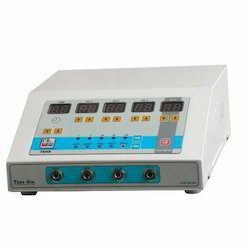 Tens LCD LCS 180LX machine is required for transcutaneous electrical nerve stimulation, mostly in case of pain. This is designed to be worn on the body for easy and problem free working. The sticky pad gets stuck to the skin and the wires are attached to the box. The small electrical pulses are allowed to get transmitted through the body to ease the pain. 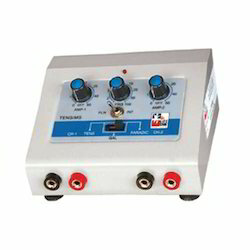 Ultrasonic Therapy Unit is the latest development that comprises of solid state electronic circuitry. This is specially designed using special transducer to keep a very good skin contact required for ultrasound therapy. The most advanced features, portable design and lightweight nature, its principle is based on computer control system. For neuro-muscular and musculo skeletal diseases. To mobolise collagen tissues, remove edema & reduce pain. 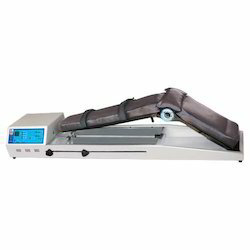 Traction Table LCS 302 is idle for horizontal cervical and lumbar traction treatment. It is fixed at a particular height and is available with adjustable stool. Thus, offering smooth and comfortable traction for patients, this table is convenient for use.